I was putting out a load of washing while I waited for Paolo Nutini to call... it’s my favourite of the household chores and always sees me getting lost in thought. 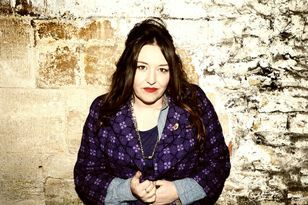 Unsurprisingly on this occasion, my mind wandered to the first and last time I’d spoken to the Scottish-Italian singer. It was in 2006 and a 19-year-old Paolo was enjoying the first flourishes of success with his debut album, These Streets. I’d looked back at the interview when I knew we were going to be talking again, and noticed that in it, he had expressed concerns he wasn’t going to have time to appreciate everything which was happening to him. In the eight years since, the Paisley-born heir to his Italian dad’s fish and chip shop has travelled the world performing to thousands of fans and released a couple of number one albums - the most recent in April this year. It had a foot in both commercial and critical camps and was met with acclaim. Which is why Paolo felt the need to step off the industry album-tour-DVD conveyor belt after he’d finished promoting 2010’s Sunny Side Up. “It wasn’t feeling that special then,” he says. “I’d always planned on taking some time to readjust. There was a lot going on in my personal life. I took a year out, went home and made myself available to do day to day things. I didn’t have a driving licence. I wasn’t much of a cook. “A couple of my friends had kids and that made me think if I was lucky enough to be a dad one day, what would I know? What can I do? What could I teach them? It wasn’t a long list.” So he set about adding to it. “I’d heard this Rastafari poet, Mutabaruka, speak about the importance of working with your hands and natural materials. I was still wanting to be creative, but I didn’t want the main outlet to be music. I started to whittle wood and do some cooking. I did some sketching and carpentry. God knows what the record company made of their bright young thing sidestepping making a third album to see if he could knock up a coffee table. Did he feel like he was taking a risk by stepping off? 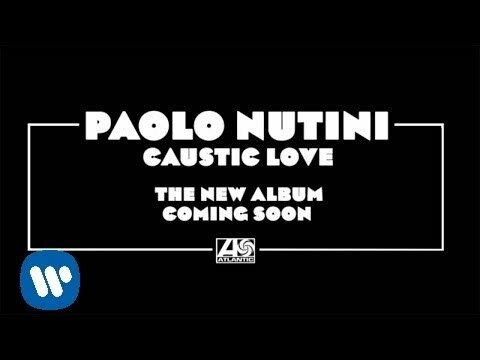 Finding himself picking up his guitar at the end of a day in the workshop offered the seeds of Paolo’s third - and many would say most accomplished - album Caustic Love, which has since spawned singles Iron Sky, Let Me Down Easy and Scream (Funk My Life Up). “I caught myself writing songs and making music as a hobby at the end of the day,” he says. “It was fun again. It was giving me a release rather than getting me down. I knew then there’d be a third album.” To say nothing of his biggest tour yet. Paolo kicks of an arena tour of the UK and Europe at Newcastle’s Metro Radio Arena on October 24. As you see, I nearly managed to be the first person to interview Paolo and not mention his handsomeness, but now he has gone and done it (sort of). I wonder whether he feels he has been punished for the way he looks by critics over the years.